This small tile of molded terracotta dates to the Eastern Han Dynasty. It shows on one side a naturalistic figure – most probably an elephant tamer – dressed in Han costume and with a headdress, holding a staff together with an elephant. A pig and a dove flying overhead also feature. The scene is surrounded by cloud-like borders. 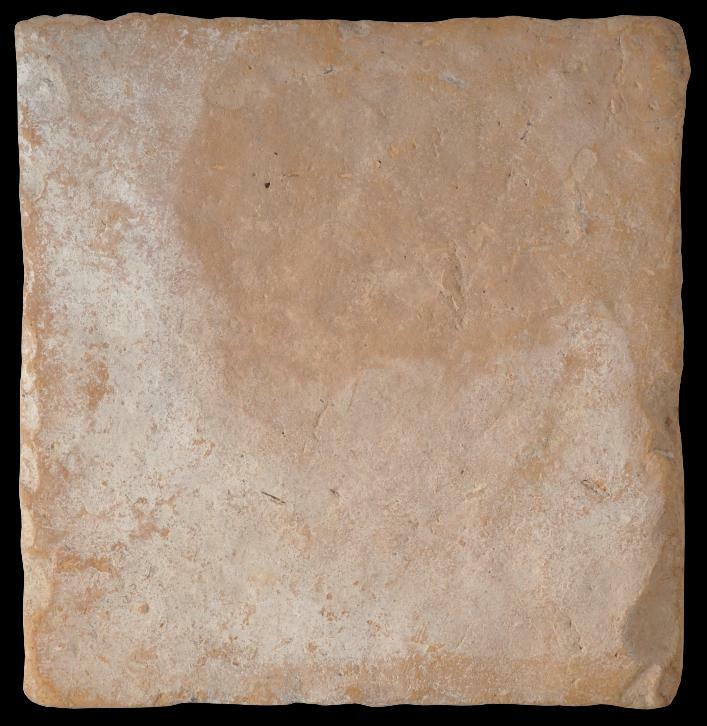 The tile has traces of white ochre. Probably this tile was made to adorn a tomb. The Han Dynasty was a prosperous period for China. Private commerce prospered and public administration was rationalised and streamlined. The emperor was at the pinnacle of Han society. He presided over the government but shared power with both the nobility and appointed ministers who came largely from the scholarly gentry class. According to Wang (2011), the importing of tamed elephants into China was an established part of diplomatic exchanges between China and foreign countries by the time of the Han Dynasties. Elephants are recorded as having being sent from regions such as Vietnam, Yunnan, and Burma. According to Wang, ‘Among the unearthed figural stones or bricks belonging to Eastern Han are also found variegated scenes of taming elephants. The tamers are often shown to be Huns with iron hooks, a practice which was also believed to have been imported from Southeast Asia.’ Tombs of the Eastern Han Dynasty often were decorated with multiple tiles and sculptures depicting everyday life but also scenes of revelry and entertainment. Many important Han tombs have been excavated in China’s southwest Sichuan province. The tiles were placed at entrance ways and in extensive horizontal panels inside the tomb vaults themselves. 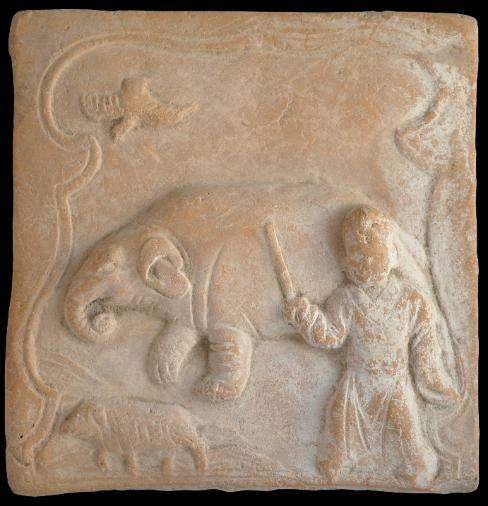 It is possible that this tile is from Sichuan – at the time elephants could be found in neighbouring areas, plus Sichuan was connected to the various trade routes known collectively as the Silk Road. DeWoskin, K., ‘Music and entertainment themes in Han funerary sculpture’, Orientations, April 1987. Wang Yongping, ‘The Elephant in Cross-Cultural Perspective: From Han to Tang Dynasties in Chinese History’, School of History, Capital Normal University, Beijing, 2011.